Even though I came in after the Gandhi Project had already started I felt like my group helped me catch up and learn the things they had researched. It was really fun acting out the parts and saying the fact. After we thought we were done we searched fun facts about Gandhi because our video was too short. I learned a lot about Gandhi. 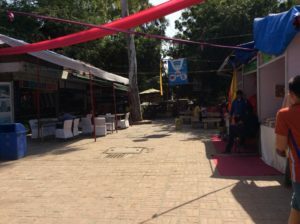 I didn’t know what to expect when I went to Dilli Haat but at the end I had a lot of fun. I liked going to each little shop and buying the things they sold. I liked seeing the different candies and things that people bought. 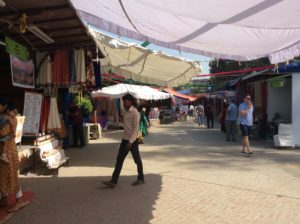 Going to Dilli Haat was really helpful because now I know Thing that are good to buy at what markets and what they have at Dilli Haat. 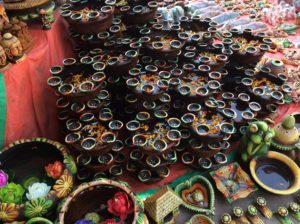 This was my favorite trip because I learned a lot and I got to buy a lot of things most that were hand made. The metro ride was fun but I didn’t feel like I learned a lot. I feel like if we got to learn about where we were and what we can see there than it would be better. I had fun just playing on the metro with friends. It was helpful because now when i go with my parents or friends i know what to do and where to go. This entry was posted in Exploratory 6 by 23gjones. Bookmark the permalink.